Did new addiction treatment bill miss an opportunity to strengthen state drug-monitoring programs? Patient advocates say a bill passed by Congress last week that ostensibly decriminalizes drug addiction will no doubt open doors for those seeking treatment. But others say the legislation is a lost opportunity to strengthen the country's ability to track opioid prescriptions. An older version of the Comprehensive Addiction and Recovery Act boosted states grants to run programs that flag over-users of prescription drugs only if the states required physicians to check the databases before they wrote a prescription. 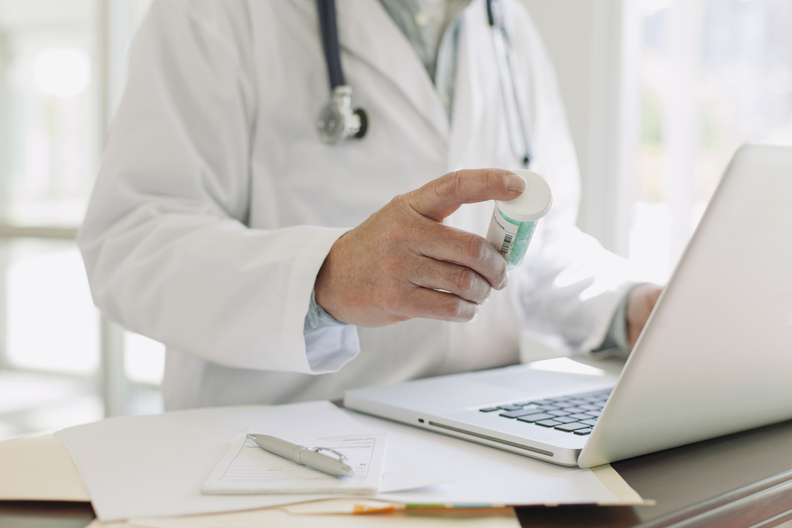 Physicians, however, lobbied against the requirement, stating it was burdensome and that the databases, known as prescription drug monitoring programs, often failed to provide the most updated and comprehensive information. The final bill provides the grant money but eliminated the requirement. “Without this incentive tied to federal grants, legislation at the state level will be adopted slower than it would with grants conditioned upon this requirement,” Mendell added. Prescription drug monitoring programs, or PDMPs, were first established by states in the 1930s. The programs currently are in every state and the District of Columbia with the exception of Missouri, which has failed to set up a PDMP based on privacy concerns. PDMPs also alert prescribers when a patient has been prescribed other medications that could be potentially dangerous when mixed with an opioid. For example, studies show mixing opioids with tranquilizers can make it four times more likely to cause an overdose. Evidence suggests that providers who use PDMPs prescribe fewer opioids. A study published in June in Health Affairs found a 30% reduction in the rate of Schedule II opioid prescribing from 2001 to 2010 among 24 states immediately after launching a drug monitoring program. But despite the benefits, PDMPs remain largely underutilized. The median rate of registration into PDMPs among prescribers was around 35%, according to a 2012 report from the U.S. Justice Department's Bureau of Justice Assistance. A 2015 study in Health Affairs found 72% of physicians surveyed were aware of their state's programs but only 53% used them. A March report by Shatterproof (PDF) found prescribers used PDMPs less in states where checking it was voluntary. Providers used it only 14% of the time prior to prescribing an opioid. Twenty-two states require providers to check PDMPs prior to prescribing a potentially addictive medication. “Because we are in a public health crisis we need every tool on our toolbox, and requiring the use of PDMPs is an important tool,” said Baltimore City Health Commissioner Dr. Leana Wen. Wen says PDMPs could be easier to use. They often require a provider to log onto a different system than an electronic health record system. Not all state systems share their data, meaning the information can sometimes be incomplete. Wen thinks a national PDMP would address that issue. She says the effort should have been a priority in the new legislation. Calls to establish a national prescription drug monitoring database have grown louder in recent years as a result of the drug abuse epidemic. In 2014 alone, more than 18,000 people died from opioid overdose. And yet some argue a national database would not be as successful as boosting existing state programs. Efforts to strengthen PDMPs are in the works. Just hours after CARA passed, Sens. Amy Klobuchar (D-Minn.), Joe Manchin (D-W.Va.), and Angus King (I-Maine) introduced a bill that would require drug dispensers in states that receive federal funding to report to their PDMP within 24 hours after prescribing controlled substances. The bill would also require practitioners to consult a PDMP prior to prescribing opioids, require states to notify prescribers when the PDMP show signs of patients misusing opioids, and require states to make PDMP data available to include in a intrastate data-sharing system.